Clare Gooding is a Master of International Business candidate at Fletcher where she studies business development and operations with a regional focus in the Middle East and North Africa. 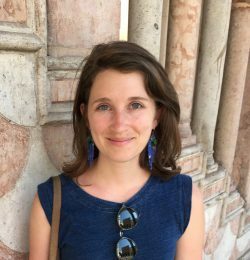 Prior to Fletcher, Clare worked in operations for the American Refugee Committee and as a caseworker for the US Refugee Admissions Program in East Africa. This past summer she worked for the Procurement department of Rawabi City in the Palestinian West Bank. Her professional interests include the cooperation of humanitarian agencies with religious institutions particularly around financial inclusion. In 2011, she was an intern at the Permanent Observer Mission of the Holy See to the United Nations in New York and has since followed closely the diplomatic work of the Holy See. 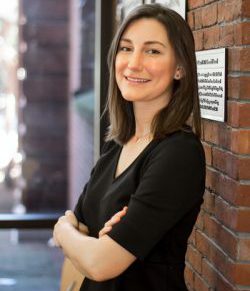 Sasha Lipton Galbraith is a Dual-Master’s Candidate at the Fletcher School of Law and Diplomacy and Harvard Divinity School. At Fletcher, she focuses on program design, monitoring and evaluation in the humanitarian sector, and at Harvard Divinity School she is exploring the complex interplay between religions, conflicts and peacebuilding. She has worked with various NGOs and international organizations around the world supporting educational and humanitarian programming. Most recently, she interned with the Danish Refugee Council in Greece and helped to design a new accountability mechanism to improve communication in refugee camps in Greece. She speaks Italian, French and Chinese. 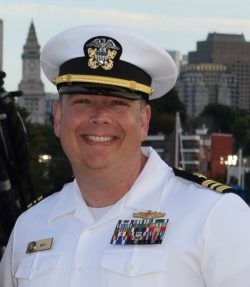 Peter Maki is an active-duty Lieutenant Commander in the U.S. Navy and a Master of Arts in Law and Diplomacy Candidate at the Fletcher School of Law and Diplomacy where his fields of focus are International Security Studies and International Organizations. Peter has eleven years in uniform and deployments to Iraq, Afghanistan, and throughout the Middle East. Most recently he served as an Officer-In-Charge at the Navy Expeditionary Intelligence Command and deployed as Commander, Task Group 56.9 in support of the the U.S. Navy’s Fifth Fleet in Bahrain. Robin El Kady is a Dual-Master’s Candidate at the Fletcher School of Law and Diplomacy and at Harvard. He focuses on public international law and conflict resolution at Fletcher and studies religion, ethics, and politics at Harvard. Robin is interested in the cultural and religious manifestations in the political realm as well as in the reality-constituting role of media. He studied European media studies as an undergraduate at the University of Potsdam (Germany) and at Columbia University (NYC). 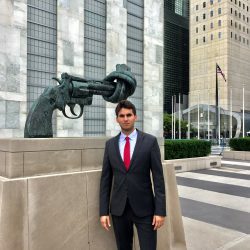 He recently interned at the News and Media Division of the United Nations in NYC and at the German Council on Foreign Relations in Berlin. Mary Soule is a Master of Art in Law and Diplomacy candidate at the Fletcher School where she focuses on security studies and human security. She is interested in how religion can act as an influential soft power in international relations and the integration of religious literacy in national security. She recently interned at the U.S. Embassy to the Holy See in Rome, Italy.